A subsurface geological structure in the form of a dome; that is, the formation rises to a rounded peak. In sedimentary rocks these are good prospects for drilling since, normally, oil & gas rises to the highest point in the structure. A depression in the earth’s crust in which sedimentary materials have accumulated over millions of years. Basins may contain oil or gas reservoirs. Much of the production of gas and oil in the United States come from basins, such as the Appalachian Basin, the Permian Basin, the Los Angeles Basin or the San Joaquin Valley Basin. 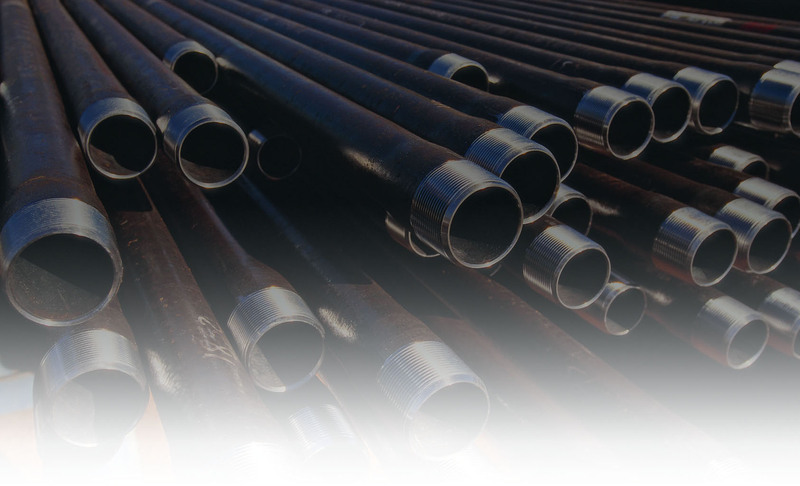 Casing is heavy metal pipe that is inserted into the borehole as reinforcement. It shuts out water and rock. The point at which the decision is made to complete or abandon the well, after reviewing all of the information obtained while drilling the well. After a well is drilled and the decision is made to complete it, a number of things must be done. The well must be cleaned out, setting the casing and tubing into the hole, adding surface equipment (pumps, tanks, meters) and perforating the casing so that oil or gas can flow into the well and be brought to surface. Once a well is completed, it is ready to produce oil or gas. A structural trap, favorable for the retention of petroleum, formed by the cracking and breaking of a rock plane. It is essential to the creation of a trap that the facing of the rock plane be sealed off by against an impervious formation. A term used to refer to the method used to increase the deliverability of a (Fracturing) production or underground storage well by pumping a liquid or other substance into a well under pressure to crack (fracture) and prop open the created fracture with sand to provide a conduit for the hydrocarbons to easily travel from considerable distances out in the reservoir into the well bore. That revenue available from the sale of oil and gas after royalties and (NRI) operating costs, including taxes. The making of holes in casing and cement (if present) to allow formation fluid to enter the well bore. One common method of perforating is by shooting holes through the casing by means of a special gun lowered into the hole. Others use shaped charges to penetrate the casing and up to 36” into the surrounding formation. A measure of the resistance offered by rock to the movement of fluids through it. It is measured in darcies or milledarcies. Porosity measures the capacity of the rock to hold oil, gas or water. It is measured in bulk percentage of the volume of rock. That portion of the identified resource (oil or gas), from which a usable mineral and energy commodity can be economically and legally extracted at time of determination. The landowners or mineral owners share of production, free of expenses of production. The transmission of shock waves into the earth then measuring the returned waves recorded by a seismograph. The shock waves are produced by exploding charges of dynamite in shallow holes drilled for this purpose or by trucks that vibrate the ground. Upon striking rock formations, the waves are reflected back to the seismograph. The time lapse is a measure of the depth of the formation. This term refers to the point in time at which the drill bit begins to turn into the earth and drilling actually starts. A geologic structure, not favorable to the accumulation of oil or gas because of the tendency of the latter to rise in the structure until further escape is blocked. This is the point at which the drilling operation has reached the total intended depth the operator had planned and budgeted for. Once this depth is reached, the operator must analyze the results of the drilling and determine whether the well is to be completed. A common industry approach to drilling financing wherein investors pay 3/3 of the cost in exchange for 3/4 of the ownership. When a well is directionally drilled. Tight Sands or (low permeability) Strata that holds hydrocarbons too tightly for conventional extraction processes to bring it to the surface at economic rates without special stimulation such as a frac program. A string of pipe set into a well through which oil or gas is produced. The ownership component, which bears all of the costs of drilling, completing and operating the well.